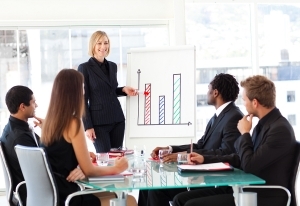 Sales Training - Coaching style sales training courses tailored for you. What is selling and how can sales training improve performance? Selling is an art and many people believe it is something that can’t be taught but we are naturally programmed to work towards something we want, like a new career, a new house or a new car. We want the same outcome but with different strengths and weaknesses, it’s about finding the structure and strategy that works for you. Understanding your targets is one of the key steps to meeting them. Knowing what your target means, in terms of call rates, pipeline and allocation of time, enables you to break your targets down to bite-size, achievable chunks; in turn, your long term goals become goals in sight. ‘Team 6 Motivation’ is about working with people and to help motivate your team to work to their absolute full potential, whether that’s a large sales force or a small group. We can help you and the people representing you or your company, work to the best of their ability, stay motivated and release their full potential by enhancing skills in a coaching style. Being a very competitive market in most industries, it pays to stay a step ahead. With our complete sales training packages, we will work with you to understand your business, compile reports and deliver a high standard of motivational training to suit your requirements. We believe in a professional and friendly service in which people can relate and by working extremely hard to deliver a personal service, tailored to your requirements, your sales teams core strengths can only develop; resulting in more profitable and quality sales. By delivering our training in a coaching style, we believe that the skills gained will benefit each person in their everyday life as well as their working day. Focusing on core skills such as listening techniques, overcoming objections, body language and closing; sales has just been made easier. A new fresh approach to sales training is important to keep the team engaged and willing to work with you and here at Team6 Motivation, we understand it is a fine balance between knowledge and understanding. We will dedicate the time required with passion and understanding from start to finish and even when we’re finished, we’ll have a quick check in to make sure everything is running smoothly!